Tourism is an attractive tool for economic development, especially in the developing world because tourism industry is considered as one of the largest and the most diverse industries in the world and it is one of the fastest growing sectors of the global economic. Many countries are seeking a way to improve their economic conditions; they see tourism as a major source of income, employment, and development of economic. The World Travel & Tourism Council (WTTC) researches assesses that the Travel & Tourism industry's contribution to GDP and jobs for 184 countries and 24 regions and economic groups in the world1. Tourism is part of the leisure sector which is rapidly gaining economic importance. The volume of tourist flows at a world - wide level is showing a continued growth path, mainly as a result of income increase and improvement of transport systems (Pearce, 1981). According to W.T.O. recommendations – “Tourism comprises the activities of persons travelling to and staying in places outside their usual environment for not more than one consecutive year for leisure, business and other purposes”. The W.T.O. also defines – “An international tourist as a person who travels to a country which usual residence but outside his/her environment for at least one night but less than one year”. The origin of the word “Tourist” can be traced from the Latin word “Tornus” meaning a tool for describing a cycle. This word dates back to the year 1292 AD which reflect to the desire to discover the unknown, and explore new and strange places. Domestic Tourism: involves residents of a country visiting their own country. Inbound Tourism: involves non-residents visiting a country other than their own country. Outbound Tourism: involves residents of a country visiting other countries. Internal Tourism: comprises domestic tourism and outbound tourism. National Tourism: comprises domestic tourism and outbound tourism. 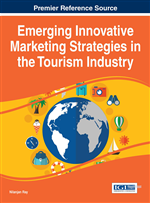 International Tourism: comprises inbound tourism and outbound tourism.